It’s Tuesday morning and today is the last post in our Credit Card Management Series. During our Credit Card Management Series we have discussed The Myths About The Amex Black Card, Good Credit Cards for College Students, Paying 0% Interest on Your Credit Cards. We have reviewed the Citi Thank You Preferred Card, and the TD Bank Payment Plus Card. We have learned about Prepaid Credit Cards, The Best Solutions to Credit Card Debt, and if Credit Cards are Good or Bad. Today we are going to discuss an unfortunate side effect of having credit cards. Unfortunately every single time we apply for a new credit card, or we swipe our existing credit card, we take the risk of becoming a victim of identity fraud. If we lose our wallet there is a risk that someone will find our wallet and gain access to our credit cards along with all of our personal information. HSBC is currently featuring an article on their website YourMoneyCounts.com that discusses ways to prevent Identity Theft and what to do if our identity is ever stolen. How Can We Prevent Identity Theft? Safeguard Your Personal Information. It is important to keep a close eye on all of our personal information to prevent identity theft. Ways to safeguard our personal information include having our monthly bills delivered online instead of having a paper statement delivered by the mail. Accessing our account information online ensures that our information remains confidential, and the risk of anyone else finding our information is minimized. Review and Shred unnecessary Documents. We should shred all unwanted personal information including bills, statements, and other confidential information. We should never throw out personal information in the garbage. Be Safe While Online. We should never use a shared computer to access our personal information such as our PayPal account, our Online Banking, and our Credit Card information. Whenever we access our personal account information online we should not have other websites open such as Face Book and Twitter. There is always a risk that our information can be transmitted. Keep Organized. If you do keep paper copies of personal information, statements, and receipts it is best to keep them safely organized in a filing cabinet or binder. If we keep our information neatly organized we have less of a chance to lose it. 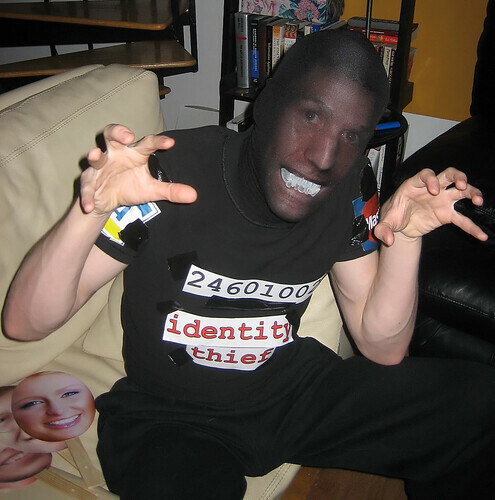 What Should We Do If We Become a Victim of Identity Theft? Contact all of our Financial Institutions. The first thing we should do if we become a victim of identity theft is to contact all of our financial institutions and credit card companies. We should cancel all of our debit and credit cards immediately, as well as put a freeze on our accounts until the cards are replaced. Contact our Credit Bureaus. The second thing we should do if we become a victim of identity theft is contact all of the credit bureau companies to flag our accounts in case someone (other than us) tries to apply for credit or open an account in our name. The three national credit bureaus are Trans Union, Equifax, and Experian. If we flag our credit bureau the companies will alert us any time that someone applies for credit in our name. We should file a police report. When we call our credit card companies or financial institutions to report our credit cards lost and stolen they will ask us if we have filed a police report and they will ask for the police report number. We should also file a complaint with the FTC (Federal Trade Commission). The FTC maintains a database which is used to keep track of identity theft cases and prosecute identity thieves.